The SS20 is Specialized Solar Systems (SSS) most commonly supplied off-grid solar DC micro-grid system and is designed using proven solar energy technologies. 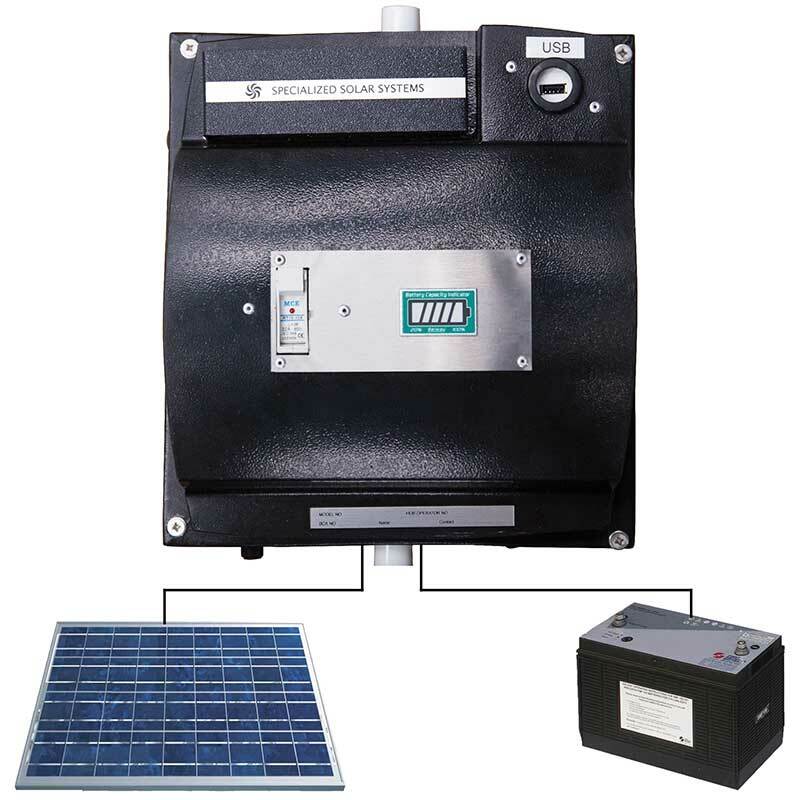 The SS20 has many applications and is commonly used where grid electrification is not available. It can also be used to supplement grid power. The standard SS20 baseline system will generate enough power to provide adequate lighting and entertainment. The unit has an interactive screen on the smart DB box that indicates battery voltage, load output in Amps screen and panel input in Amps screen confirming the efficiency of the systems at all times. The design is tamper proof with seals in the battery box and in the load output of the smart box. The fusing systems design functions not only as a current limiter but also offers the necessary protection against short circuits and overloads. 1 X 350W Pure sine wave inverter. 2 X 75W Prime crystalline solar panels.